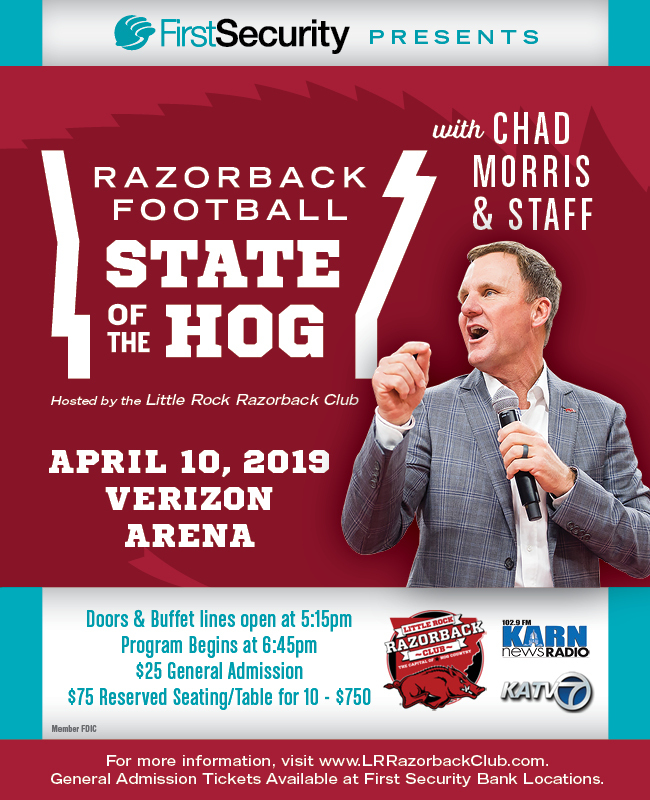 Join the Little Rock Razorback Club in celebrating the “State of the Hog” with Chad Morris and staff. Doors and buffet lines open at 5:15 p.m., program begins at 6:45 p.m. Tickets include reserved seat and dinner. $25 for general admission seating. Students (18 and under) get general admission seating at no cost but do need a ticket.